Dr. Cindy Pang graduated from the National University of Singapore (NUS) and completed 6 years of specialist training in Obstetrics & Gynaecology. In 2008, she was granted membership to the Royal College of Obstetricians and Gynaecologists (UK). Subsequently, she obtained her Master of Medicine (O&G) from NUS in 2008. She then achieved her Specialist Accreditation with the Ministry of Health (MOH), and the Singapore Medical Council in 2010. Her expertise and key interests are in the screening, prevention and treatment of gynaecological cancers, and management of complex gynaecological problems such as endometriosis, fibroids and ovarian cysts. She also provides antenatal care to expectant mothers and consults on a wide range of conditions relating to the female reproductive system. Under the Health Manpower Development Programme of MOH and SingHealth Foundation in 2012, she underwent advanced surgical training as a Fellow at the Western Australian GynaeOncology group in Perth. The training equipped her with skills for complex pelvic oncologic surgeries as well as advanced laparoscopic procedures. In 2013, she was awarded the Tony McCartney Surgical Innovation Prize at the Australian Society of Gynaecological Oncologists Annual Scientific Meeting in Darwin. Dr. Cindy is an accredited colposcopist and trainer. 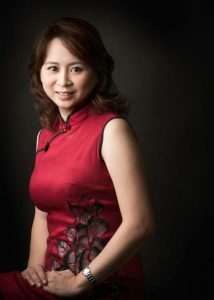 Since 2009, she has been serving as a Council Member in the Society of Colposcopy and Cervical Pathology of Singapore. Concurrently, she is involved in the division of graduate medical studies at National University Hospital, where she assesses trainees for in-hospital clinical training modules on colposcopy. She offers cervical pre-cancer screening and management with colposcopy, laser and LEEP surgeries. Dr. Cindy is a clinical instructor of Yong Loo Lin School of Medicine, as well as an Adjunct Professor at Duke-NUS Graduate School of Medicine. She has published articles in various medical journals and has presented at several international conferences. With a passion in educating the public on prevention and early detection of female cancers, she involves herself heavily in several cancer prevention talks and campaigns. She is a member of the Steering Committee in the Women’s Gynaecological Cancers Awareness Campaign, from the Singapore Cancer Society. She is also in the Medical Quality Assurance Committee of Mount Elizabeth Novena Hospital. Dr. Cindy currently practises at SOG – Cindy Pang Clinic for Women & GynaeOncology, located at Mount Elizabeth Novena Specialist Centre and Farrer Park Hospital.